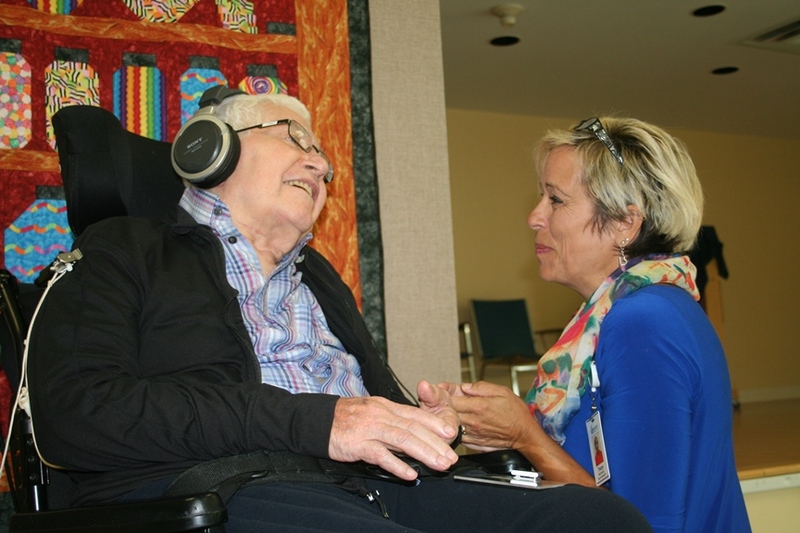 The Arnprior Public Library is pleased to have launched one of the first Music and Memory Programs in Canada connecting the public library to nursing home residents. We call it "The Music of Your Life"
In just one year the community rallied around the idea and helped to see it to fruition. The library owns thousands of songs and dozens of iPod Shuffles - more than enough to sign out one for each resident at the Grove Nursing Home; each client of Hospice Renfrew and some to spare for individuals in the community who could benefit from the program. The project has been recognized regionally, nationally and internationally. It has received awards on the provincial level and it all started as a community effort! Thank you! Phase 1 and 2 are complete and we're onto the next chapter. If you know someone who would benefit from a personalized playlist, simply complete the music survey and return it to the library. Devices circulate for a 4 week loan. Check out this photo montage of some the residents who heard their special music for the first time! During Seniors' Month, the Library brought its new green screen to the Grove to capture a variety of photographs to help promote our new project. Above - Tracey McCormick, Recreation and Adult Day Program Manager at the Grove Nursing Home speaks with a resident about her favourite music as Librarian Karen DeLuca takes the photographs at the green screen. Charitable tax receipts are available for donations for this project made at the library. In June 2016, the Library launched an iPod Project with the aim of getting a personalized playlist for each resident at the Grove Nursing Home. The library accepted donations including gently used iPods, iTunes gift cards and cash. The Library purchased music, loaded the devices and mounted each onto a piece of plexiglass. The library now owns more than 90 devices and has dedicated a laptop for all of the music. Each iPod is identified for specific residents at the Grove and gets signed out for a 3 month loan period. Music will be updated as required based on feedback from the residents. Tracey McCormick of the Grove says "I've seen first hand the impact on how an iPod can transport a resident to a place where they can manage pain or connect back with their memories." The inspiration for this project was the documentary Alive Inside which is now part of the library's circulating collection and you can borrow it for a two week loan with your library card. Watch the trailer for this documentary here.